then Dream took both amare and nig out for ice cream. then they all had a sleep overwhere they watched Wrestlemania 8 and listened to white rap. Jeremy was asked to speak a few words to encourage the participants of the KFC National Youth 3-on-3 Basketball Tournament. 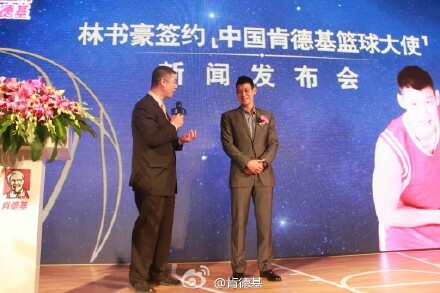 He also presented awards and his autographed basketball to MVP of previous season. 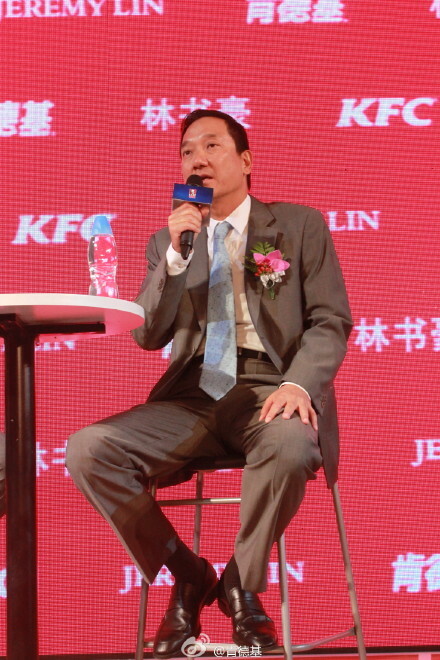 He and Samuel Su Jingbin (President of the China Division for Yum! Brands, Inc. which was spun off from Pepsi Cola in 1997 to manage all Pepsi's restaurant business, including KFC, Pizza Hut, Taco Bell, A&W and Long John Silver brands) exchanged jerseys. 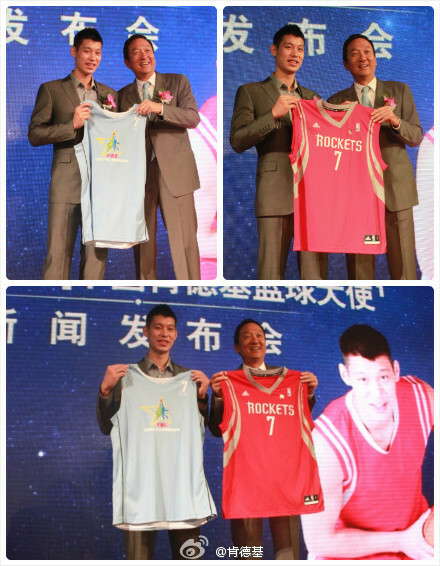 Jeremy Lin got a KFC China National Youth 3-on-3 basketball tournament jersey, while Samuel Su got a Houston Rockets #7 jersey. 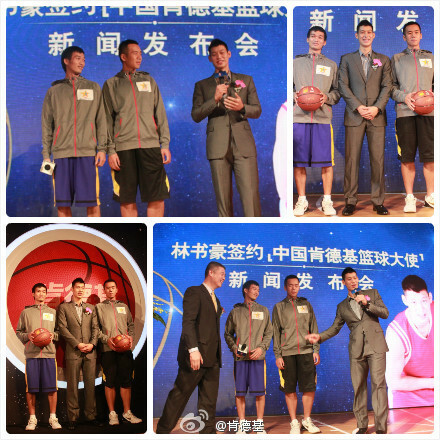 Then a Q&A session followed for reporters and fans from weibo/microblog. 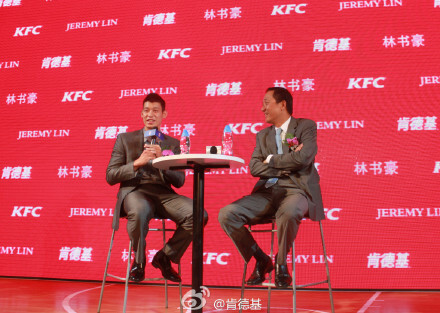 According to Samuel Su, the endorsement is for 2 years and would not be strictly a commercial one; Jeremy would not be asked to do compulsory commercial/marketing promotion for KFC China. 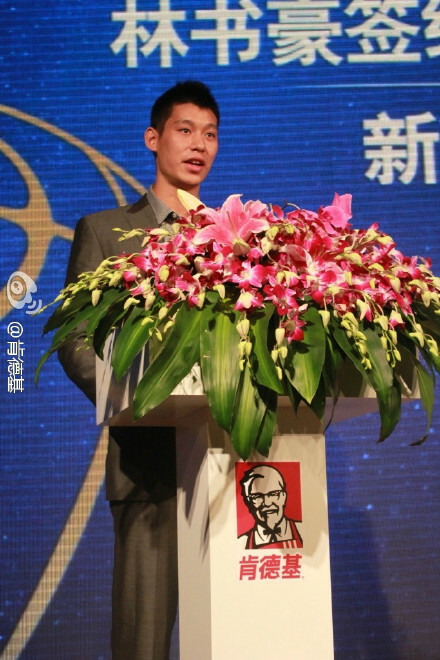 No hamburgers or fried chicken or any set menu will carry Linsanity name. 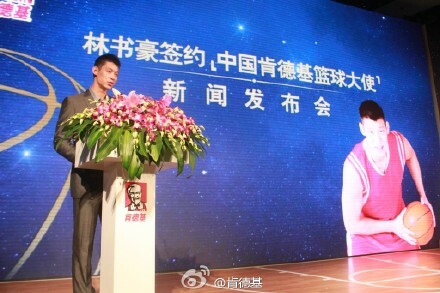 His role is just strictly as a basketball ambassador for KFC China's National Youth 3-on-3 basketball tournament. 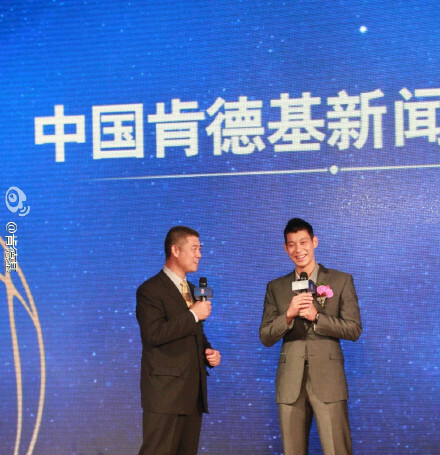 And Jeremy Lin had promised that he will show up in the debut game of the new season of National Youth 3-on-3 basketball tournament in China in early September. New York Knicks forward Amare Stoudemire, who is in Houston working with Hall-of-Fame center Hakeem Olajuwon, believes former Knicks guard Jeremy Lin and the Rockets are a good match. 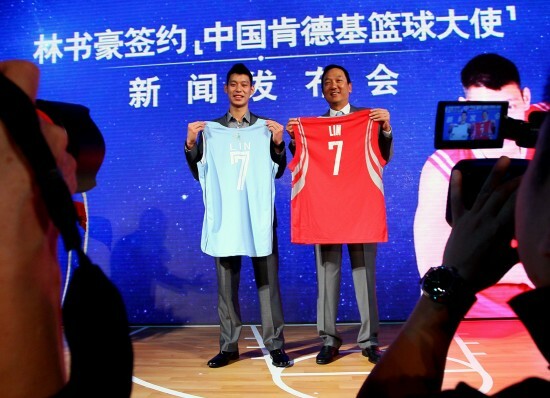 Lin signed with the Rockets last month. "Jeremy Lin is going to be a great addition to the team," Stoudemire said in an interview with FOX 26 Sports. "He is a player who is going to continue to learn. "He practices just as hard as anyone else on the basketball court. He plays with great confidence and great poise for a young player. So to have him on a team, a young team as the Rockets are, it's definitely a great addition." Stoudemire believes Lin was able to show what kind of player he can be in the NBA, even though he started only 25 games. "25 games is 25 games," Stoudemire said. "You got to take it when the opportunity is given to you and he did that. "So much respect to him for that and I just wish him health and luck going into next season." Stoudemire respects the fact that Lin was able to cash in on his success last season and land his three-year contract worth $25 million with the Rockets. "Most players, the ultimate goal is to win a championship," Stoudemire said. "Then if you can win a championship and also cash in, you've got a double portion. "He's on the right track so far with cashing in and coming to beautiful city, as Houston is, he's going to do a good job." Last edited by pryuen on Thu Aug 16, 2012 7:47 am, edited 2 times in total. Well, to view it from another perspective, Jeremy may not be not endorsing KFC food (even though we all know he loves eating chilly chicken wings). what a stupid deal endorsing KFC china. Him and Tebow should've been spokespersons for Chic-Fil-A USA, makes more sense. Or at least he could've been hawking chicken mcnuggets like FAT YAO.